Embroidery is an art which adds beauty and creativity to your work all the time. It’s obviously not easy to search for the affordable way to start embroidery. For some of the sewers, it’s hard to look for the best embroidery machines which must be in the budget and efficient in performance as well. 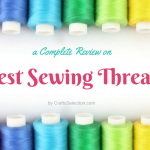 Today in this review about the Singer embroidery machines, you will be able to make a decision. No matter if you are looking for a beginner level machine or expert level, you are going to have everything here. 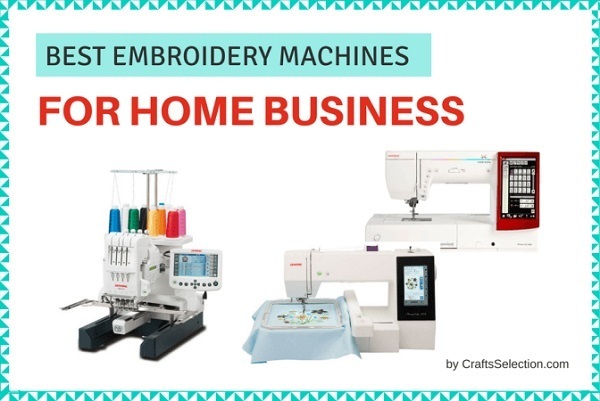 We are about to list the best Singer embroidery machines to simplify your work and so you can enjoy every bit of your creativity. I have picked up these sewing machines on the basis of their performance, creativity, efficiency and easy handling. Read on! Now that you have an idea about the basic differences among top Singer embroidery machines. 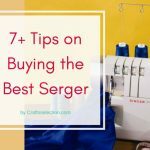 Take a closer look at each of Singer embroidery machine reviews to know a bit more about their uniqueness. Are you looking for an incredible sewing machine that can perform major embroidery task with ease? Then look no further as SINGER has once again produced an extraordinary embroidery machine that can accomplish different embroidery tasks under your reliable budget. From tablecloths to draperies or fashionable clothes to printing tasks, SINGER XL-580 Futura embroidery machine can do all such tasks with smoothness. 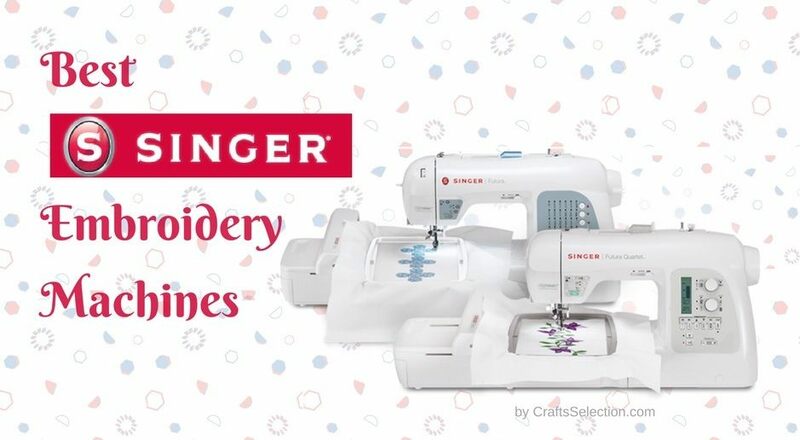 This Singer embroidery sewing machine includes innovative features that will allow you to do more than ever before. 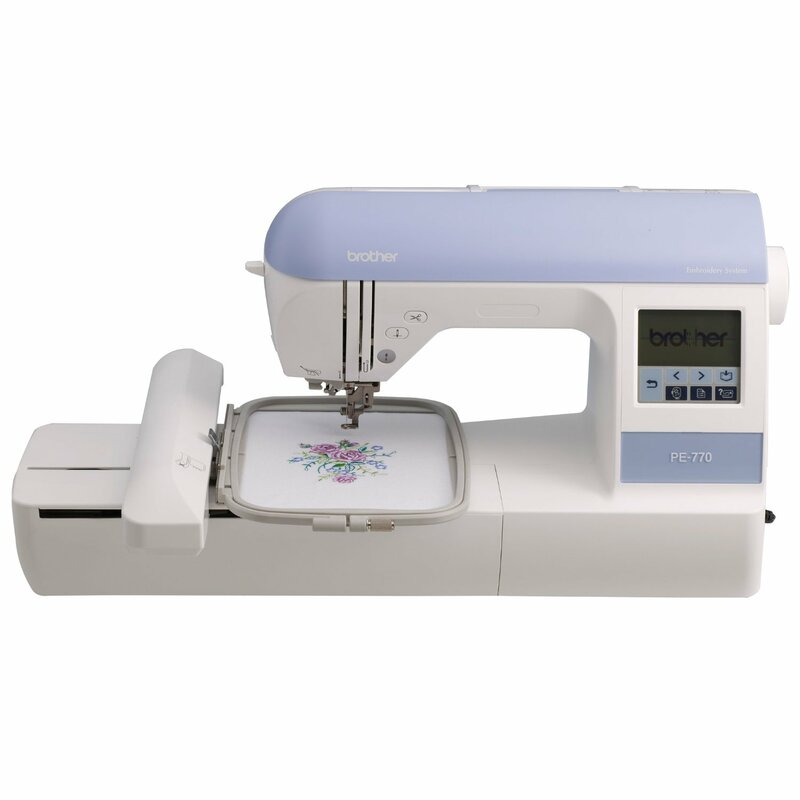 With 250 built-in embroidery designs, endless hoop, extra-large sewing space for quilting, knee lifter for hands-free presser foot lifting and USB key for remote embroidery design, the machine holds everything that is needed to make sewing creativity truly limitless. You can do much more with monograms and other embroidery designs with this machine. SINGER XL-580 is unbeatable when it comes to performance. The workhorse machinery is totally automatic and its pedal automatically moves up and down. The auto threader and thread cutter makes the machine fully automatic and saves time for embroidery tasks. SINGER XL-580 Futura also comes with LED light, pedals and the ample number of the thread which makes the entire stitching job easier. 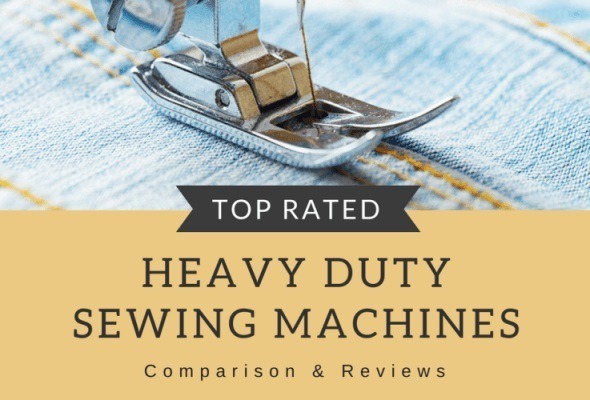 In addition to this, long arm design of this machine provides extra-large sewing space to users for managing quilts and other bulky projects. The entire machine is being made keeping in mind the comfort of the users. 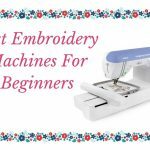 However, if you are a beginner who is not familiar with the embroidery process and don’t know how to operate a computer, then it is a bit hard for you to operate this machine. 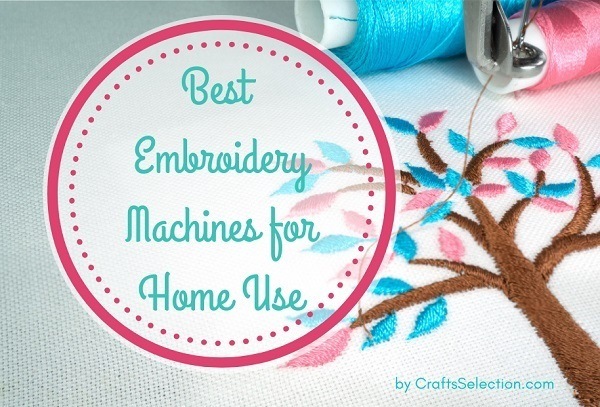 In this case, you should opt for a beginner embroidery machine. Singer Futura XL-580 is among the best embroidery sewing machines which have the ability to provide everything at the best quality. The creative and innovative features of the machine will make you always go for this one. Singer SE340 is an amazing machine and suitable for advanced sewers who are able to handle the software deluxe edition. It has advanced editing system, true-type font lettering and a whole library of embroidery designs. 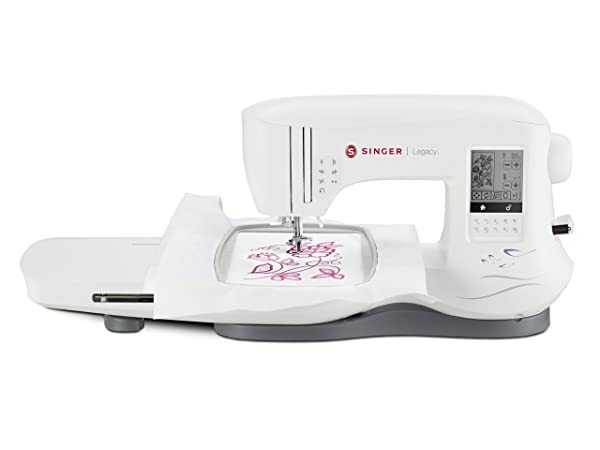 SINGER SE340 comes with a sleek design that offers 250 built-in stitches, 6 alphabet options, 200 embroidery designs and a USB stick embroidery design transfer. This stylish embroidery and sewing machine is just not going to help you in completing the work as fast as possible but it will also help you in winding up the project quickly. The easily adjusted LCD screen will help you in reviewing the work and edit it before applying. 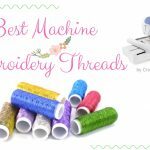 With the help of automatic needle threader, you can simply thread the whole machine from spool to the needle. You don’t have to read the whole manual in order to understand the machine usage. This embroidery machine has free online tutorials and now you can learn to operate any function. 200mm work area and extra-large embroidery area make this machine unique among all and first choice of advanced sewers. Presser feet and 2 hoops are something which can add sugar in the whole package. As far as the drawback of the machinery is concerned sometimes it is hard to adjust needle on the machinery. You need to refer manual each time to set up the new needles which is quite a time-consuming process. Besides this minor fault, the SINGER SE340 sewing and embroidery machine is ideal for different sewing purposes and durable enough to serve for home stitching project over a long time span. 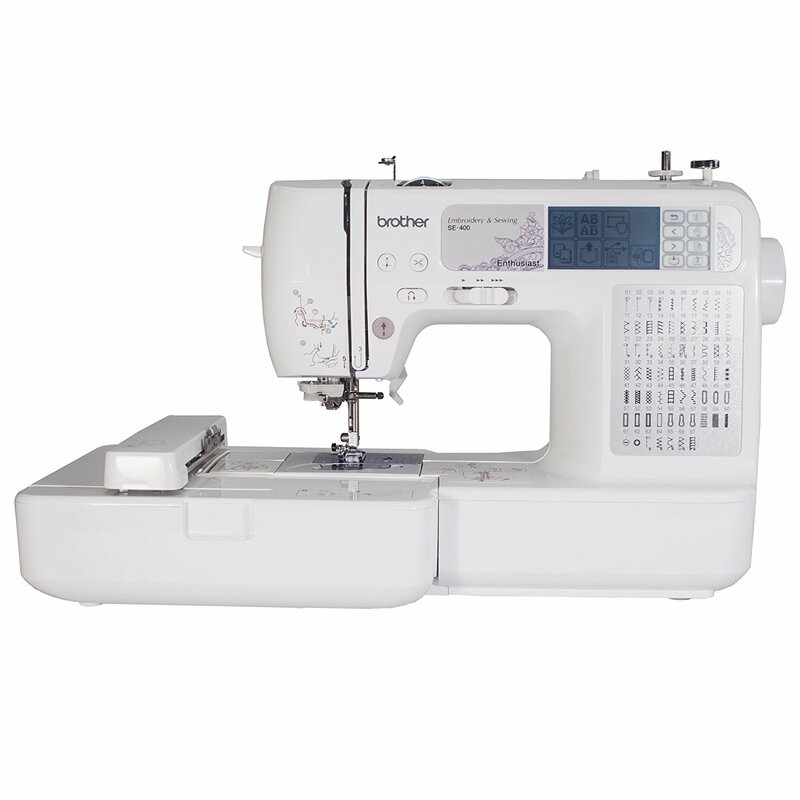 This sewing and embroidery machine Singer SE340 is the best choice for advanced sewers. People who want something extraordinary from the machine, then this is the best pick up for them. The advanced features will make you go addict to this machine. The most exciting thing about the Singer embroidery machines is how easily they amalgamate the technological brilliance with creativity and a prime example of this feat is the SINGER Futura XL-400. It’s a future generation sewing embroidery machine which is entirely automatic meaning that you don’t need to paddle machine to stitch clothes. Only a gentle push of a button will do the entire task for you! Singer Futura XL400 is an excellent embroidery machine suitable for the beginners and intermediates. The Singer embroidery machine has 125 embroidery designs and 30 built-in stitches. It has five different fonts and outline lettering as well. The automatic needle threader has made things much easier and effortless. Working on big quilting and sewing projects become smoother with six stay bright LED lights as it keeps the extra-large sewing space brighten. Creating design of up to 12 by 20 inches is also possible with larger embroidery hoop option and multi-hooping capabilities. This feature allows users to embroider larger projects such as bedspreads, tablecloths, dresses, and other fashionable items with ease. To add more professionalism user can create their custom design and send the design to the machine with the help of the USB cable for further embroidering. Futura XL-400 comes with a warranty period of 25 years which makes this product superior as compared to other similar products that are available in the market. The main drawback associated with the machine is the breaking of the thread which many of the users have suffered after the purchase. If you are looking for the best budget embroidery machine then your choice must be Singer Future XL-400. 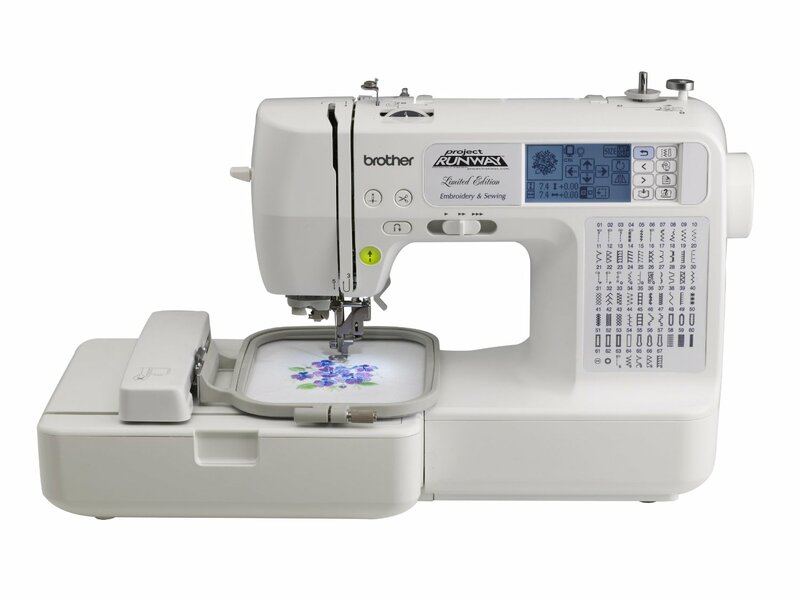 For the beginners, this sewing and embroidery machine is an ideal match for all the working needs. Singer Futura XL-550 is an affordable embroidery sewing machine for the beginners, intermediate and advanced sewers. The machine is easy to use and users don’t have to go through the unnecessary complications of handling. 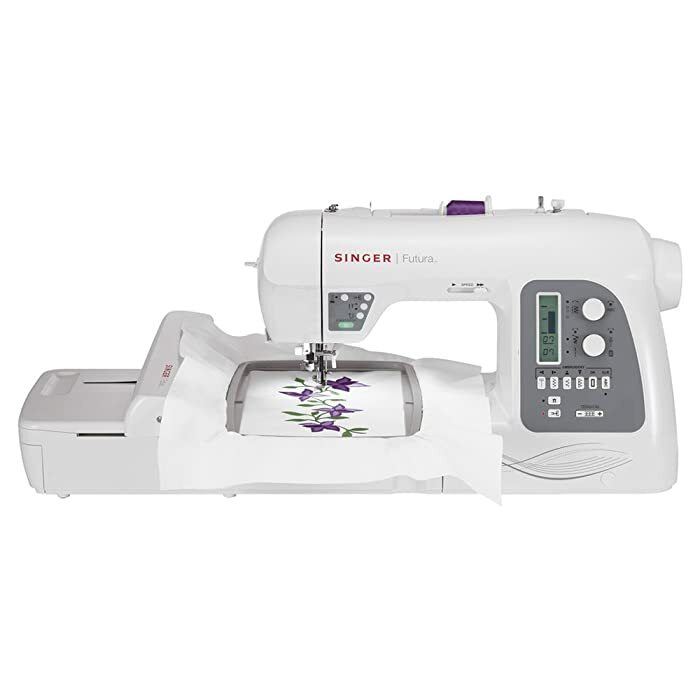 Singer Futura XL-550 has 125 built-in embroidery designs and 215 built-in sewing stitches. This machine is more like a one-man show. You can have several functions at just one place without using different machines for different functions. At the time of working on the bigger quilting projects, stay bright LED lights are going to help you in focusing. This machine is suitable for the larger formats like designing a tablecloth or dresses. The features of the machine include hyper font, auto punch, and advanced editing software which helps in enhancing the creativity inside you. You just need to push the button and the next moment you will be embroidering. 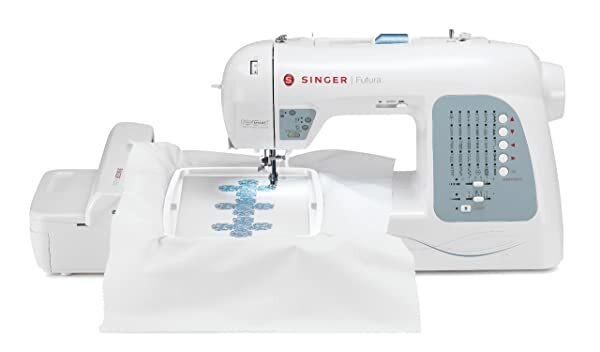 Moreover, when it comes to time-saving features, the SwiftSmart threading system of the SINGER Futura XL-550 makes sure that you don’t waste time unnecessarily on your sewing project and get the job done in almost no time; no wonder it is a top choice for many a sewing enthusiasts. 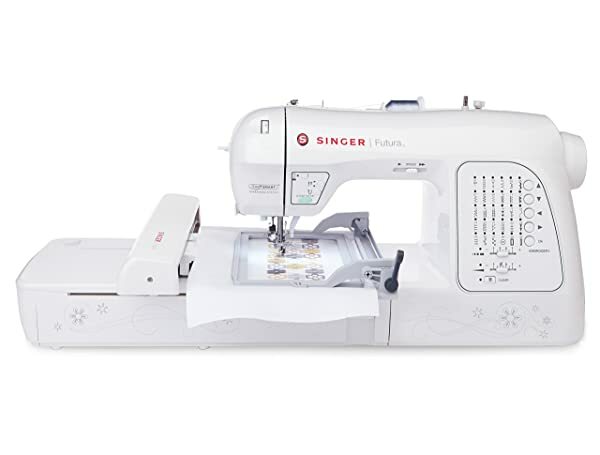 Singer Futura XL-550 is the answer to all your questions related to the embroidery or sewing. No matter if your project is big or small, this machine is going to support the whole project with the help of amazing and easy to use features. Singer XL-420 is a basic embroidery sewing machine suitable for any kind of sewer due to the easy to use functions and no complications. 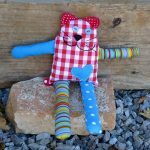 The sewing and embroidery machine has 200 embroidery designs including small, large or anything you want. Singer XL-420 sewing and embroidery machine has the ability to deal with the basic editing of all the designs and just by one click you can send the design to the machine. Swift smart threading system is a simple and complete guide to the user about the whole mechanism of threading. You just have to use the lever the system will work automatically. Drop and sew bobbin system is suitable for the people who are tired of using bobbin manually. Simply insert the bobbin now and start doing your work. Extra high-pressure foot lifter can help the user in dealing with the multiple layers of fabric. However, it also comes with some drawbacks. 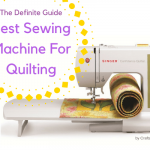 The major one is that it requires a steep learning curve to practice using the machine. The Singer Futura XL-420 is an amazing choice for everyone who needs a user-friendly machine and it has everything you were looking for. From the basic to the advanced features, you can have anything in this machine to simplify the work. These best Singer embroidery machine reviews are based on performance and customers satisfaction. At the time of attempting embroidery, no matter for the practice or for the professional purpose, you must have a great and efficient machine on the table. Without a proper machine, this is not possible to achieve the desired and high-end results. You should always a buying machine which is worth your money and which can also be long-lasting. 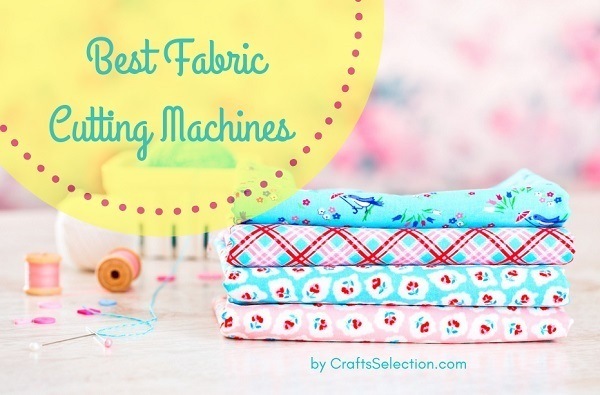 The sewing and embroidery machines we mentioned above are amazing in performance and you will end up loving them.